Hello! 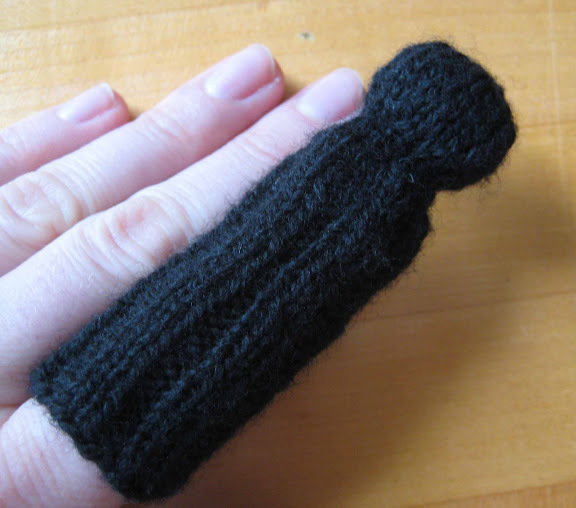 I found you website from Knitting Pattern Central. I saw the molecule charts first. That's what caught my eye because my niece is working on her Ph.D in chemistry. 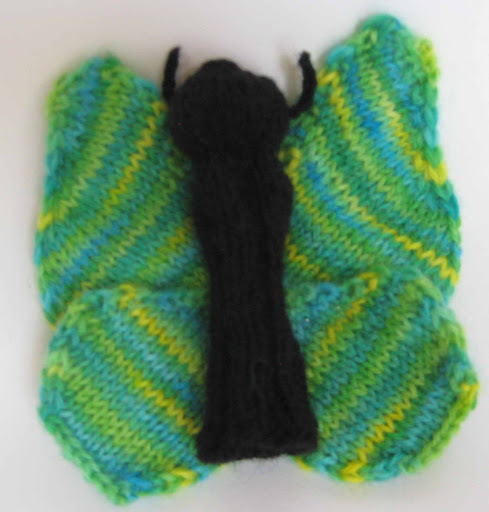 But I liked this butterfly finger puppet, too. Thank you for sharing the pattern (and the molecule charts) I'm going to browse a while longer! 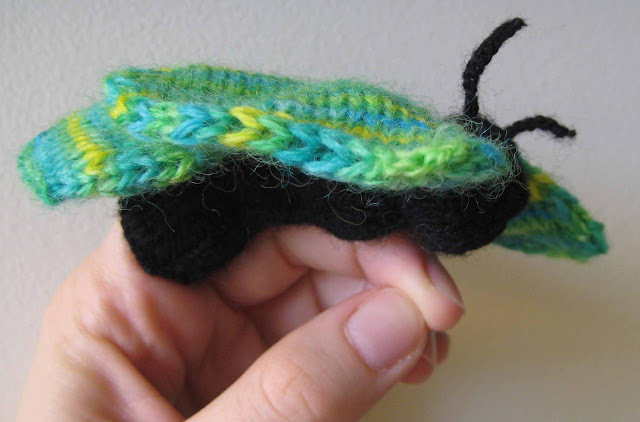 So beautiful knitting butterfly! Thank you. 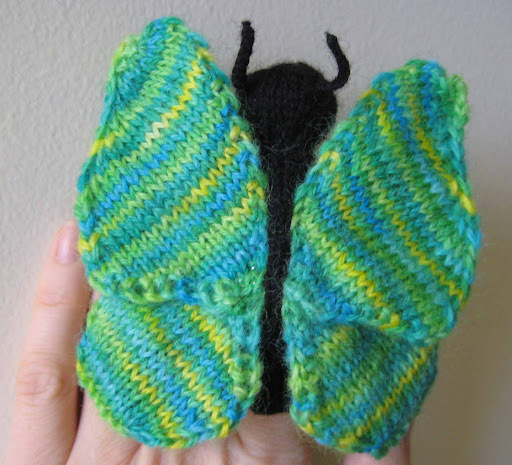 As a mom with a chemistry degree who loves to knit, I was thrilled to find this site. I will likely try some of your molecule patterns soon. I also appreciated the links you posted on Squidoo. Thank you! 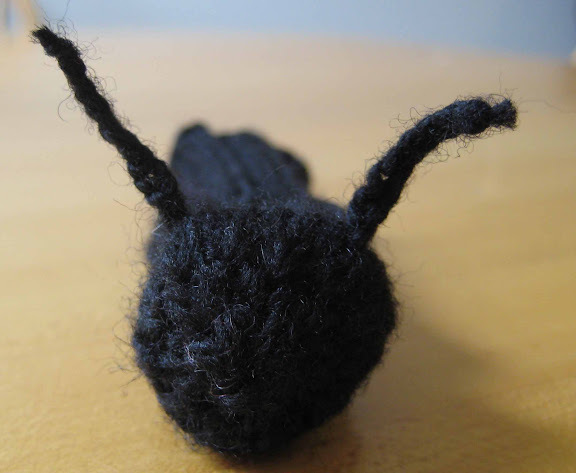 I've just started knitting a DNA molecule for our granddaughter who is due in August. (My son-in-law, her daddy, is working on a PhD in ecology.) My eldest son is an electrical engineering grad student. 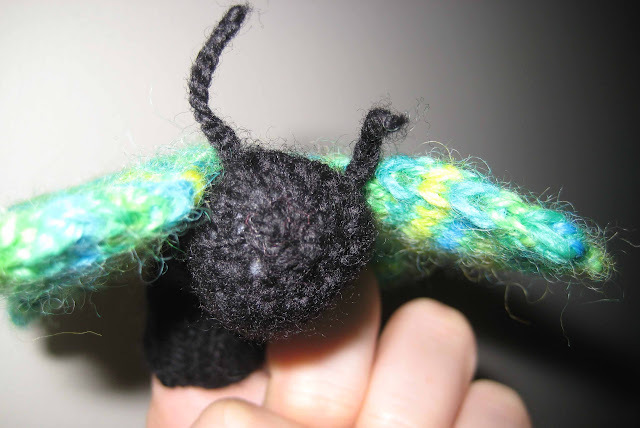 Would you by any chance know of any knitted patterns that feature electric circuits? 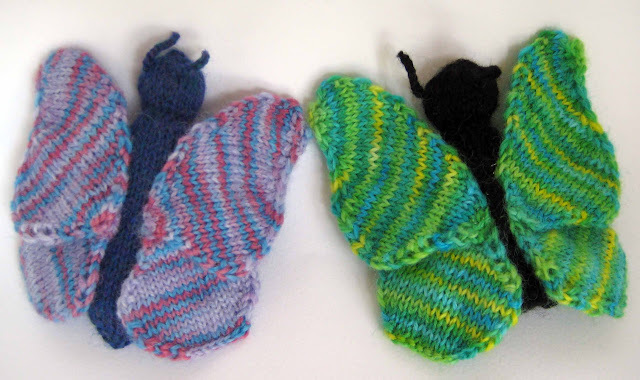 I do not know of electric circuit knitting patterns, but you could probably make a fun knitting chart out of some circuits... My husband-to-be is a physicist, so we keep talking about what non-chemistry science knitting projects I could design. Hello! i am also a mom with a chemistry degree that loves to knit. your side gave me some great gift ideas. 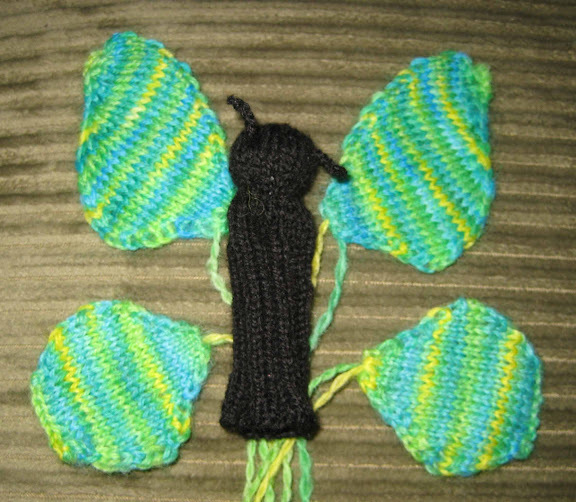 i just finished a larger byjama holder version of this beautiful butterfly to give my 2 year old god-daughter as a gift. Thank you for the pattern!!!! This sounds AMAZING! I would love to see photos. I'm glad you like the pattern.